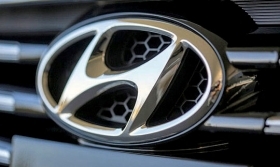 Hyundai Canada is recalling about 140,000 vehicles to fix hood latch and parking brake warning light problems. The largest recall covers 128,865 Santa Fe and Santa Fe Sport SUVs from 2013 to 2017. A cable for the secondary hood latch can corrode and fail to latch. That could let the hood fly up if the primary latch isn't secured. Dealers will replace the cable. The second recall covers 12,000 Genesis and Sonata models from 2015 and 2016. About 1,100 of the cars are 2015-2016 Hyundai Genesis sedans and not part of the automaker's luxury Genesis brand, which launched for 2017 model year. The light that shows the parking brake is on might not light due to corrosion in a switch, which could let the cars be driven with the brake on. Dealers will replace the switch. Greg Layson and the Associated Press contributed to this report.